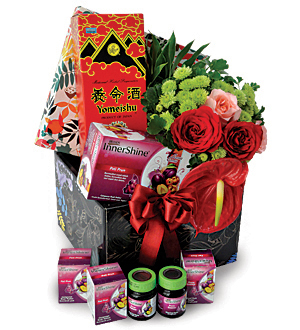 A wholesome nutritious gift to boost wellness, vitality and well being. 6 bottles of Brands Innershine - Prune Essence 42g and a bottle of prized Yomeishu Health Tonic 1 litre. Comes in a cheery bunch of fresh Roses.